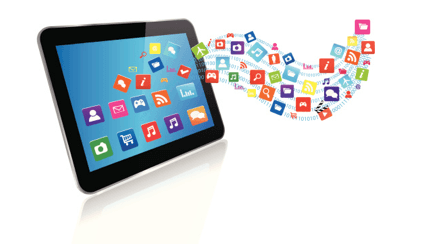 Moving into web and mobile app development is a strong business decision for many companies. Building apps lets you interact directly with your customers in exciting new ways, and can strengthen brand loyalty among consumers. It gives you a new channel for getting your message out, and even lets you learn more about your target market. Yet building an app requires a specialized skill set and a good deal of time. Rather than trying to put together an internal team, make sure their skills are updated, and take them away from other projects, it often makes good business sense to engage an outside company. Yet with so many app developers in the market, how do you know which one is right for you? Follow this 7-step road map to finding your ideal app development company. A good app development company can help you shape your loose idea into a stunning finished project, so there is no need to write a full plan. However, you need to know some basics before you get started. What do you want the app to do? What is your general idea for how it will look? Do you plan to monetize it? Who is your target market? What basic features do you want? What platforms do you want to release it on? What is your budget? Sit down and write out a list of your basic needs and desires. Even a few words jotted on a piece of paper will help you communicate your ideas to a potential app development company. All web and mobile app developers have their own individual skill sets, interests, experiences, and ways of doing business. While any one person’s style is not necessarily wrong, it might not be a good match for you. Talk about the types of apps the developer has worked on, the platforms he or she prefers, and his or her level of knowledge of your industry. Even something as simple as corporate culture could set up a potential clash if your company is very buttoned-up and the developer is extremely laid-back, or vice versa. Communication style is another potential pitfall. Do you prefer to talk on the phone or by email or via Skype? Do you need your developer to be on call at 3 a.m.? Are you looking for someone who will make most of the decisions and check in with you periodically, or do you prefer to remain more hands-on? How often do you want status reports? There are no right answers, but choosing a developer whose style matches your own will minimize conflicts or misunderstandings. In general, app developers are highly creative people who are passionate about what they do. However, they all have different industries and designs that particularly spark their interest. When possible, choose a developer who is especially interested in your line of business, the type of app you want, or your specific idea. Although it is entirely possible for a developer to do a great job on a project that doesn’t ignite his or her imagination, a passion for your project could generate that little bit of extra spark. Download some apps from the app development company you are considering. Get in and really explore them from a critical point of view. Are they easy to use? Are menus and help buttons well laid out? Is the experience intuitive? What do you think of the graphics? Try out a few different apps that cover both things you already know well and topics that you have little idea about. Make sure that the user experience is positive at all levels of knowledge. Don’t be too critical, though. Remember that color schemes, fonts, layouts, and so forth are all easily changed. Focus on the overall experience rather than zeroing in on one or two things that become pet peeves. A good app development company stands behind its work. Find out if your company will receive training on the app. What happens if your customers run into technical glitches? How much will it cost to release updates, either to add new information or to enhance the technology? Is there a contact person that you can easily reach with questions? Before you sign a contract, make sure you know what happens after the final product is delivered. If you’re looking for a web and mobile app development company, give us a call today. BHW is here to help with cutting edge solutions.